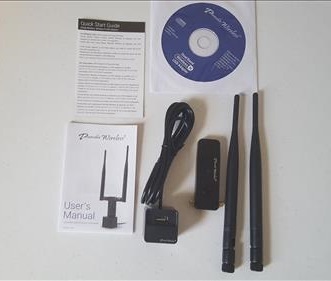 The Panda PAU09 is a dual band wireless USB adapter with wide compatibility, from Windows 10 to Kali Linux. It also has two large 5dBi antennas to improve the distance a WiFi signal can travel. I bought this adapter to see how well it performed with the results below. 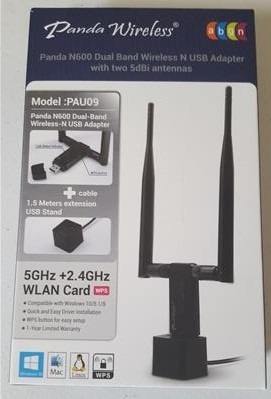 The package comes with the dongle, two 5dBi antennas, driver disk, instructions, and a USB extender stand. The antennas use a standard SMA connector and simply screw on to the dongle. A small USB extender is included that can be used if needed. It can also be used as a stand and has a 5 foot USB cord making it nice to use with a desktop. The Panda PAU09 is compatible with most any version of Windows including XP/Vista/7/8/8.1/10/2012r2 32-bit and 64-bit. 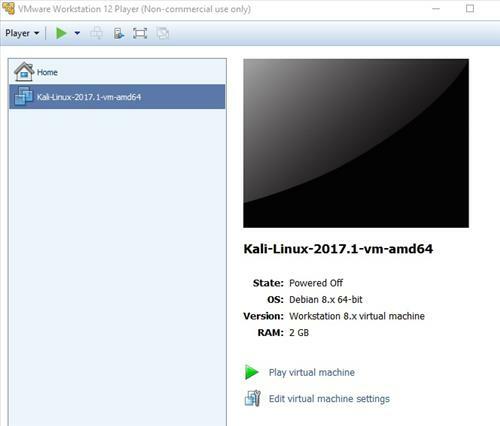 It is also compatible with Linux including Kali and going into monitor mode which is necessary to do Wireless Penetration Testing. All speed test were done to a Dlink 802.11ac router 10 feet away past a wall. A basic online speed test at Speedtest.net maxed out the internet connection at 55 Mbps Down, and 21 Mbps UP. Next Iperf3 was run to test the speed on an internal network. Running Iperf3 it gave an average score of 94.5 Mbits Per a Second. Iperf3 gave the 2.4Ghz Band an average score of 73 Mbits Per a Second. 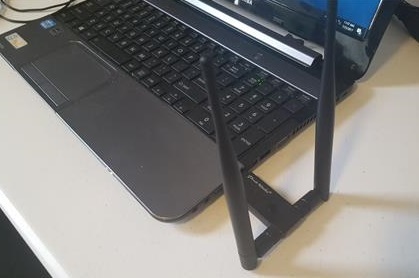 To do wireless penetration testing a WiFi dongle must be able to go into Monitor mode. The chipset and the drivers are what make it able to do this. The most popular OS to use is Kali Linux and software aircrack-ng which an adapter must also be compatible with. Running the lsusb command it shows the RT5572 chipset. Running airmon-ng it shows the same chipset. 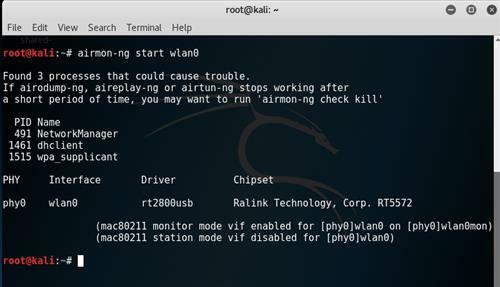 Running airodump-ng it pulled up a lot of access points and their information. 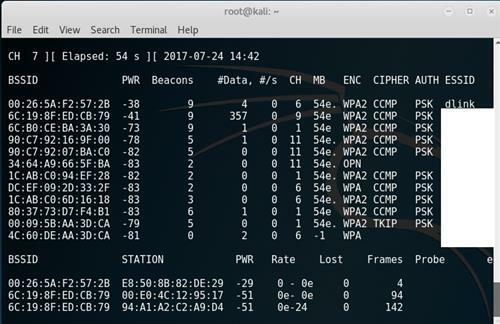 After this we used the airodump-ng command again to get a Data Capture / WPA Handshake on our own router which came up quickly. The Panda PAU09 is good WiFi adapter for those looking to get good speed combined with distance. The one downside is its a wireless-N dongle and will not be able to take advantage of the newer 802.11ac protocol. It can run in both the 2.4Ghz and 5Ghz frequencies so it will fit into most any WiFi network. The compatibility is excellent and able to run on most any Operating System. For anyone looking for a Pen Testing Kali Linux USB adapter it works very well and had no problem going into Monitor Mode and doing a Data Capture. As always be sure to read the review on Amazon or elsewhere to be sure a unit is a good fit for you. any idea where can i get higher dbi for 5ghz network? or can i use my 2.4ghz antennas? i have plenty, from 4dbi omni to 14dbi directional. 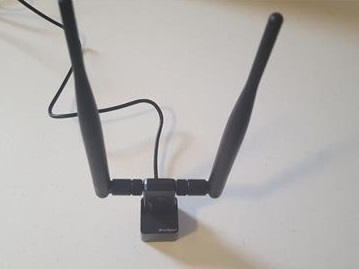 i still don’t get it how those 2 antennas work, can we interchange both of it? Sorry, if this question is obvious. I’m staying on pen testing. Does this chip supports packet injection? Or is that implicit when you say it goes into monitor mode? Hey, I just wanted some clarification. 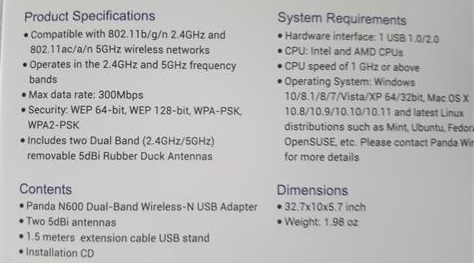 The specs say that it’s compatible with the 802.11ac protocol, but in your summary you say it isn’t. I’m looking to purchase this for pen-testing, and I wanted to test this on my router, which uses 802.11ac. Was that just a typo on your part? Thanks! The specs on the box are a bit misleading. It is Wireless-N and not a 802.11ac adapter. Wireless-N works in both the 2.4 GHz and 5 GHz range. 802.11ac works only in the 5 GHz range but is backward compatible with wireless-N. So technically it can work in a 802.11ac network in the 5 GHz range but is not a full 802.11ac device.